Ah, the life of a CEO. 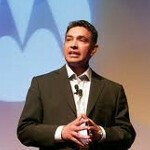 Departing Motorola Mobility CEO Sanjay Jha increased his pay package by a factor of nearly 5 times last year to $47 million. Imagine what Mr. Jha might have received had the company not lost $80 million in last year's fourth quarter alone. Motorola Mobility agreed to be acquired by Google for $12.5 billion after spinning off from Motorola last year. The company said the successful spinoff was the reason for the increase in Jha's paycheck from the $10 million he earned in 2010. Jha's pay both years was bolstered by the inclusion of options awards which were extremely lucrative considering Google's deal to purchase all of Motorola Mobility's shares. Google's purchase of the company is expected to close later this year and is being held up by the Chinese government which is extending its review of the purchase. U.S. and European regulators have already given the green light to the acquisition. Google and Motorola are said to be working closely with Chinese regulators to get the deal approved. Motorola Mobility has scheduled its annual meeting for June 4th, but the meeting could be canceled if the deal with Google closes before then. According to a report by Bloomberg back in February, long time Google employee Dennis Woodside has been tapped to replace Jha as CEO. Google has said that it wants Motorola Mobility to remain independent. wow, wish I could be paid for losing a company lots of cash. I think I could handle that with my eyes closed. Can't believe a troll like you jealous so much lol. can't believe that you are supporting a CEO who are leading Moto into red. gotta admit i'm jealous as well, cus i could have ran the company into massive losses just like this ceo. This troll is just jealous ha ha ha. He cant even buy the phone he wants cause he aint got no moneeeeey. Now ask your mamma to buy you iPhone, next Christmas OK.
Must be nice to be paid that much, yet allow your company to push out products that don't meet expectations half of the time. For that kinda dough they could get J-Lo and at least look good losing money.